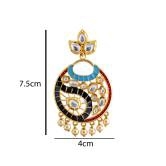 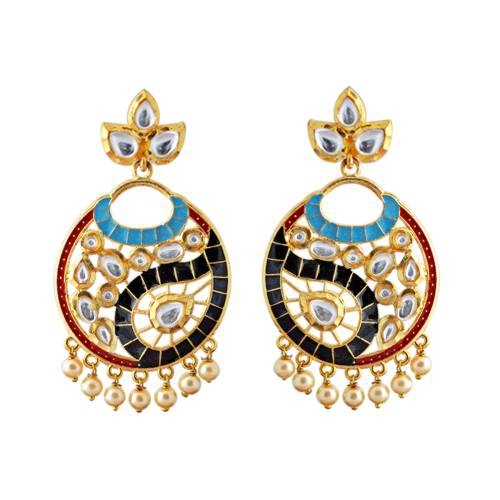 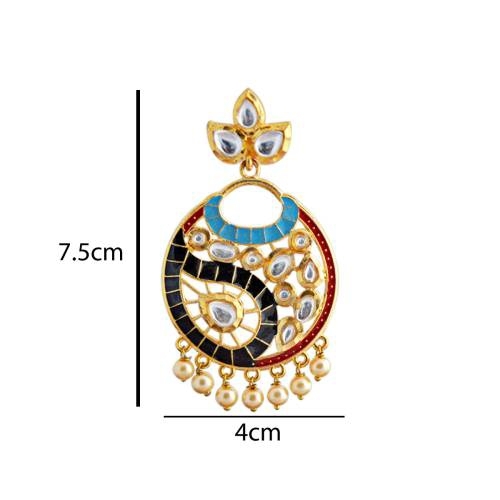 This meenakari circle cutting pendant danglers are based on a cutting brass metal frame which is polished in high gold finish and enameled in multiple colors. 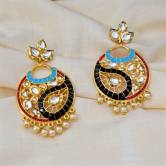 The dangler is edged with pearl finish balls and covered up with kundan drops all over it. 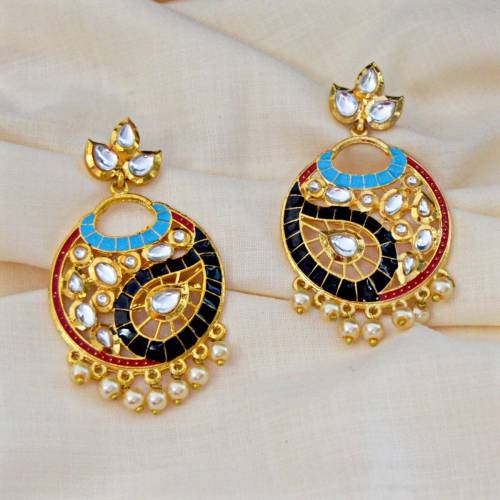 The top part of the dangler is crowned with a three kundan leaves adjoined together.